A titan of modern media, Viacom Chair-man Sumner Redstone reveals how he battled his way to become the head of one of the world's great media empires, and the richest man in entertainment. In one of the most fascinating business autobiographies of this or any other year, Sumner Redstone tells the unvarnished story of how he overcame every obstacle to build a vast media and entertainment engine that includes Paramount Pictures, MTV, Nickelodeon, Blockbuster, Simon & Schuster, and now CBS. A larger-than-life figure in the grand tradition of the Hearsts, Paleys, and Pulitzers, and voted in a recent survey of 600 corporate executives as the number-one most inspiring CEO, this is the man who can truly say, "I am Viacom." A Passion to Win gives a riveting look behind the scenes at the highly charged negotiations that won Redstone both Viacom and Paramount. 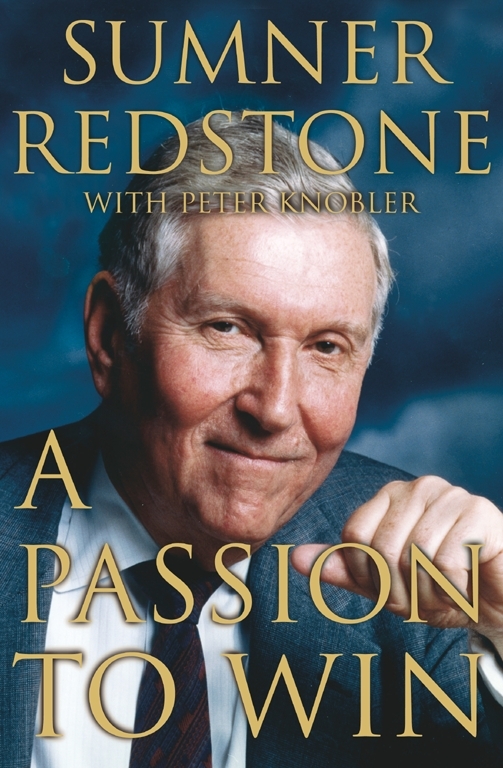 The book reveals the intense business calculations and strong emotions of Redstone's head-to-head confrontations with such adversaries as Barry Diller and H. Wayne Huizenga. A Passion to Win takes the reader along on the financial roller-coaster ride that began when Blockbuster went into the tank, risking Redstone's fortune and life's work. By the end of that ride, Redstone had righted his company and revolutionized the video industry. In a world of high-visibility corporate battles, Redstone pulls no punches. This is the man who faced down a pack of thugs when they threatened producer Bob Evans during the filming of The Cotton Club. And this is a book that shows the reader what it takes to win. Behind it all is the same iron will that helped Redstone to survive a deadly fire at Boston's Copley Plaza Hotel by clinging with one hand to a third-story ledge before being rescued -- with burns so severe over nearly half his body that doctors feared he would die. Born in a Boston tenement, he graduated first in his class at Boston Latin, went through Harvard in three years, was chosen for a special cryptography unit in the U.S. Army whose assignment was to crack Japanese codes during World War II, then, after Harvard Law School, successfully pleaded cases before the U.S. Court of Appeals and the U.S. Supreme Court -- all of this before embarking on his astounding business career. Never before has Sumner Redstone revealed himself so candidly, and now, with the assistance of writer Peter Knobler (who co-wrote attorney Daniel Petrocelli's bestseller Triumph of Justice, about the O.J. Simpson civil suit), he has produced an inspirational life story that will command major attention. USA Today One thing's certain: Sumner Redstone has methodically pieced together one of the world's largest entertainment conglomerates. Time The Man with the Iron Grasp. Los Angeles Times Mister Achiever! The Guardian Still raising hell! Financial World When Sumner Redstone gets going, it's like watching a TV video on fast forward!